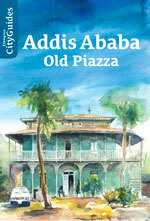 This richness inspired my approach to the design of the three self-guided walking tours that compose Addis Ababa Old Piazza, the third volume of the Ethiopian City Guides series co-published by the CFEE and Lit Verlag. The tours are an invitation to explore three main areas of Piazza for what they tell us of Addis Ababa’s material culture and social history. 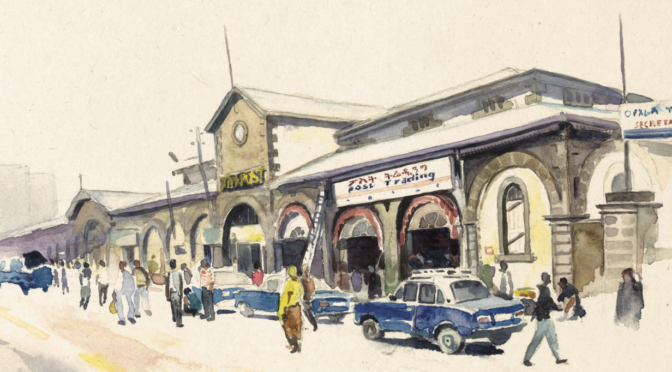 The tours follow the steps of Addis Ababa’s first builders, craftsmen, and merchants, stop at well-known historical landmarks, and present the major evolutions of Piazza’s urban space. Around thirty selected buildings are described with a focus on the story of the people, Ethiopians and foreigners, who built and inhabited them, including some involved in major historical events. For some of these buildings, archival research and oral interviews brought new insights to the existing literature on Addis Ababa’s early history and architecture. The guide book develops less-known aspects of Addis Ababa’s domestic and commercial architecture associated with early economic changes. For example, the strong expansion of import-export trade brought new commercial institutions and a new type of two-storey building, the residence-store. Many of them have survived, still occupied by trading and service activities. The residence-store was influenced by the “British Indo-colonial style” seen in the commercial cities of the Red Sea region, notable for its verandas, porches, balconies, and other wood-carved decorative features. This influence pervaded Addis Ababa’s residential architecture from the large residences of the Ethiopian dignitaries to the modest rectangular bungalow-villas. Old Piazza was also probably the most cosmopolitan area of Addis Ababa, with a large socio-economic diversity that kept producing new buildings typical of what was considered modern and fashionable over time. Est-ce qu’on peut acheter ce city guide d’Addis Abeba? J’ai les deux autres de Dire Dawa et de Gondar et je les aime beaucoup. 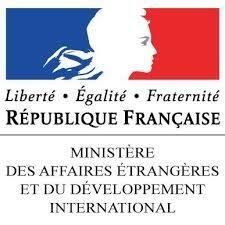 On va continuer pour les autres villes aussi? Oui, d’autres volumes sont en projet.